The good news is that FCI has uploaded answer Keys for Watchman Exam held on 18.02.2018. The appeared candidates in the exam can download their answer keys from the link given here. The result will be appeared for those candidates who have been shortlisted for Physical Endurance Test. Latest News - The exam has been postponed now. New date of examination will be intimated soon. The direct link has been provided. Click on that link regularly for getting latest updates regarding the new date of examination. Latest Updates - FCI Punjab Watchman Exam has been postponed due to some unavoidable reasons. The new exam date will be intimated soon to the eligible candidates. The candidates are required to keep visit the official website to get latest news of re-schedule of examination. 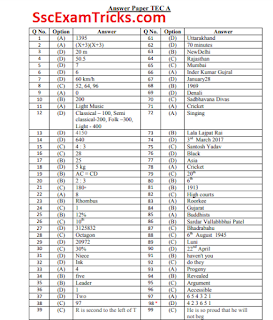 Latest Updates - FCI Rajasthan Answer Keys has been uploaded now. Note - Use login details for downloading answer keys for FCI Rajasthan Watchman Exam 2017. · Click on Admit Card/ Call Letter link and enter your registration number/ application number and password.